Degree One Events: SWEATSHOP UNION ON CANADA DAY..!! 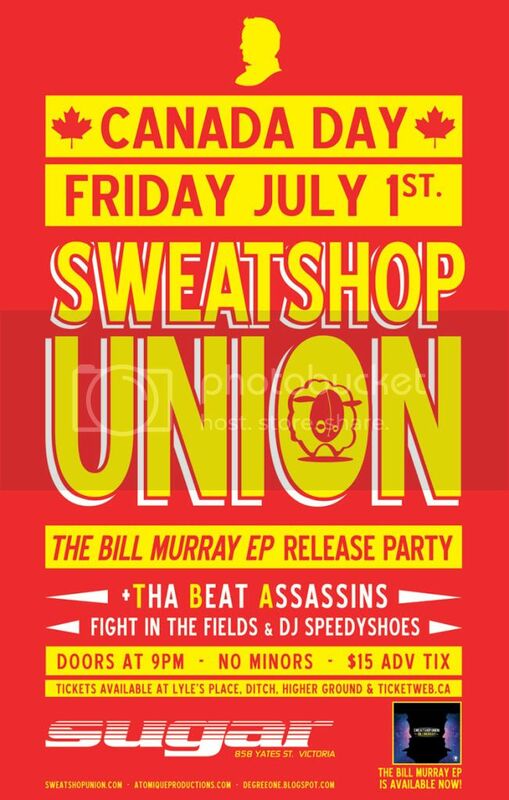 SWEATSHOP UNION ON CANADA DAY..!! March 1st marked the release of the groups most ambitious record to date, an experimental concept album best described as a runaway mushroom trip through the inner and outer cosmos. They titled the record simply: Bill Murray. Along with recent releases from Sweatshop Unions’ Dirty Circus and Pigeon Hole, the group aims to become the most prolific collective in hip hop.